This is when Finn and I were getting ready to go trick or treating. 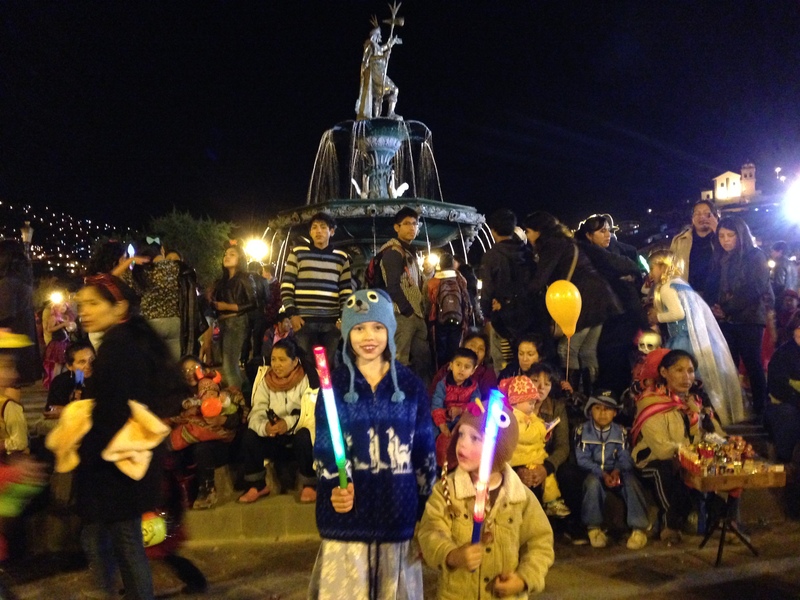 Halloween in Cusco, Peru was interesting, fun, and different. It was fun because you got to walk on streets and look in stores that you have never been in before. It was interesting because it was only in the streets around the plaza and not all around the city. There was no trick or treating in houses, just stores. It was also interesting that they only handed out hard candy and suckers, no chocolate. Another thing that was different was that you say “Halloween” instead of “trick or treat”. 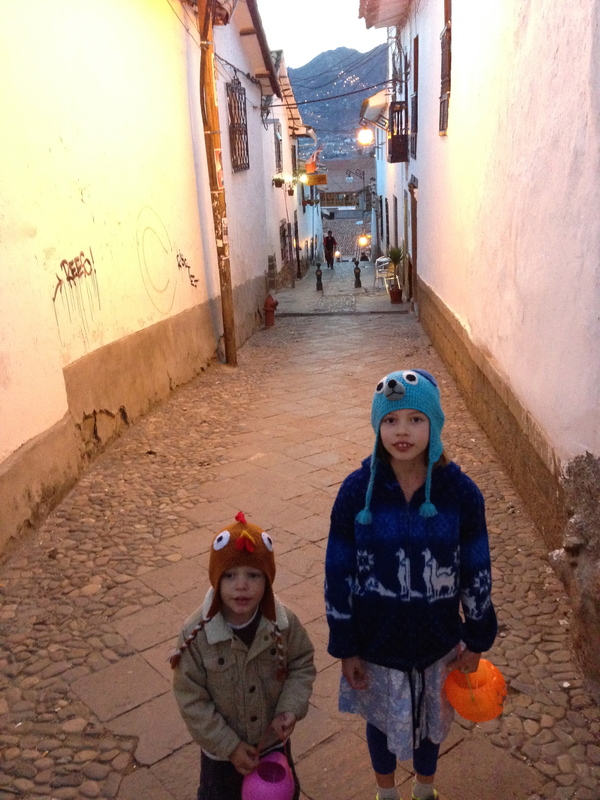 Halloween in Cusco, Peru was one of my best Halloweens ever! 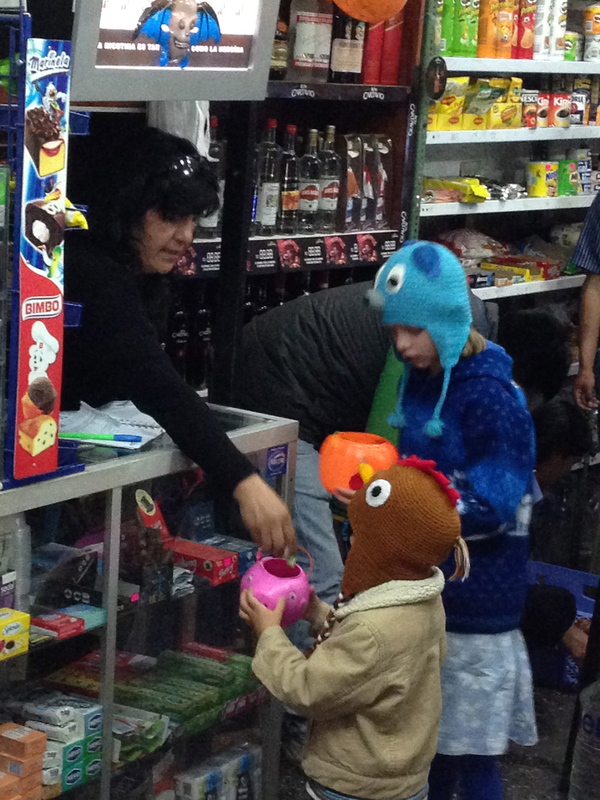 Trick or treating in the local stores in Cusco. Celebrating in the Plaza and eating candy that we got. 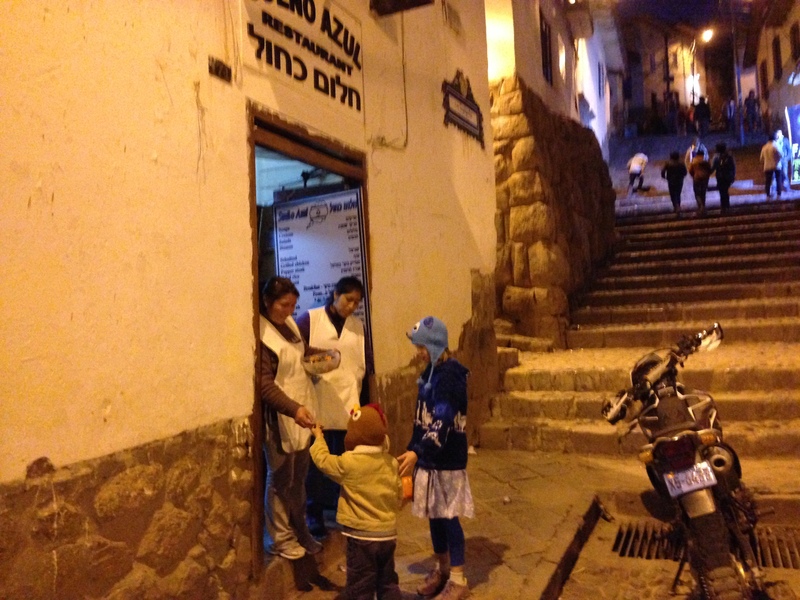 Thank you for following my blog and I hope you enjoy the rest of my adventures in Central and South America!